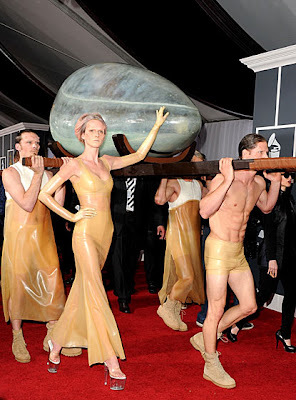 So here is the much anticipated arrival of Lady Gaga at the Grammy awards. Apparently she is incubating and won't be ready to emerge until her performance. Is everyone else as intrigued as I am? ?